With some festivals getting over and some on the way, our house is filled with fruits. They were used for offering to god or from the guests who come home during these days. With only 3 of us at home the best option is to preserve these fruits in various forms. 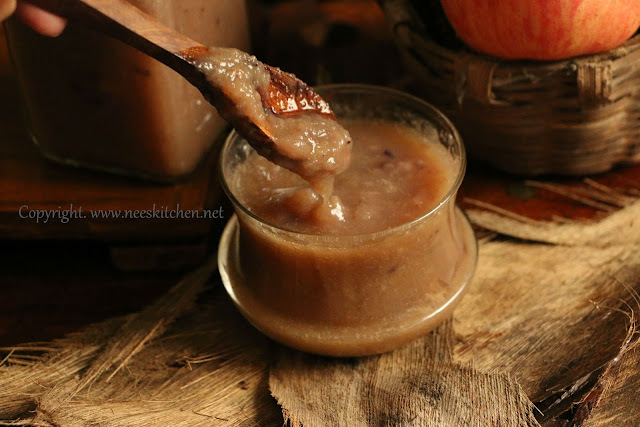 So here comes a basic kids friendly fruit sauce which is a mix of leftover fruits, vanilla sauce and honey. 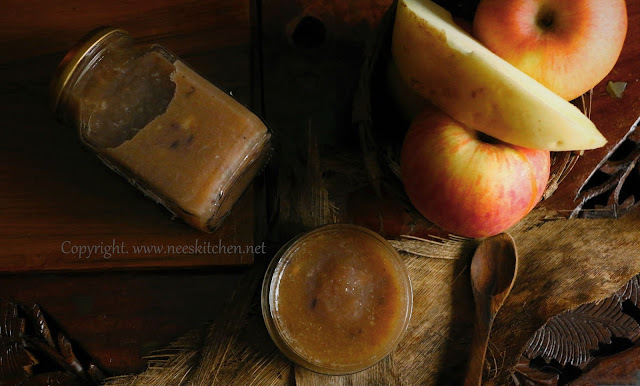 Fruit sauce can be used as a dipping for idly’s, dosa’s & waffles and can be preserved upto a week in refrigerator. The only condition for this is not to use any citrus fruits. 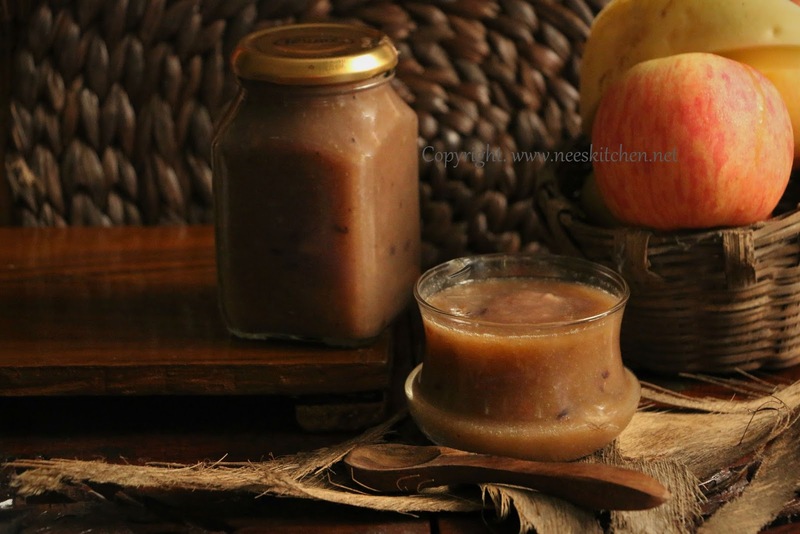 I will be publishing more recipes with this basic fruit sauce which can be preserved even upto a month. Keep watching this space. This post is also a small dedication to Better Butter Team and Kitchen aid India which gave me this beautiful Cordless hand blender which is very easy and portable to use. 1. Wash and chop the fruits roughly after peeling the skin. 2. Blend the fruits with enough water. 3. Transfer the fruit pulp to a pot and add the remaining water, vanilla essence and honey. 4. Let this cook and become thick like any other sauce consistency. 5. Let it cool and store it in a bottle and refrigerate. It can stay upto a week in fridge. 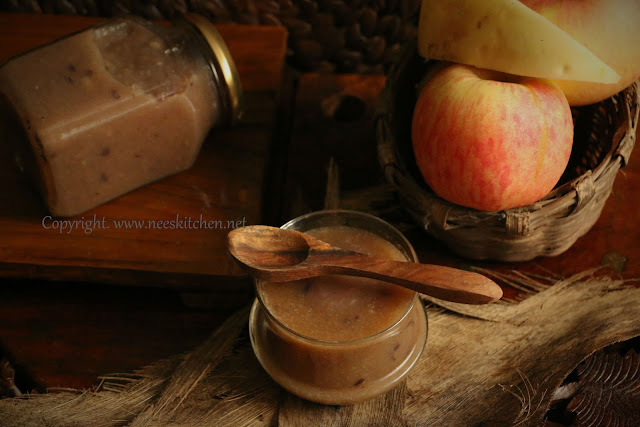 Serve it with dosa’s,idly’s, pancakes, waffles and many more. Serving hot tastes more good so you may reheat before serving if you wish to. Do not use citrus fruits. Too much of banana might override the taste.